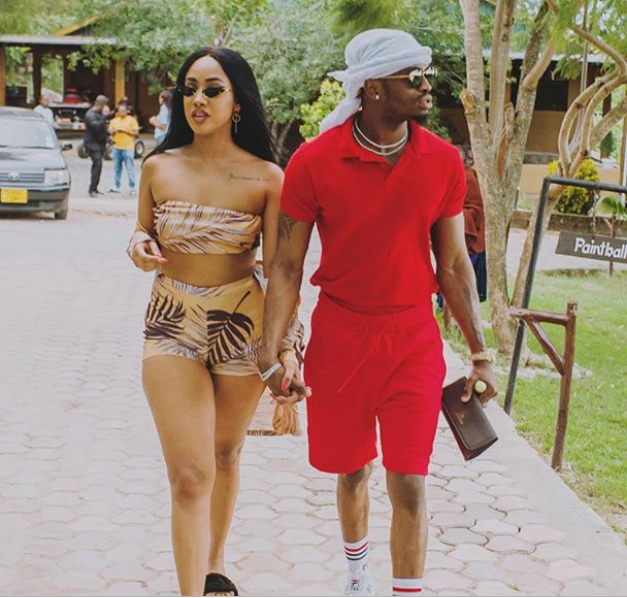 Tanzanian singer Diamond Platnumz has called off his wedding to NRG Radio presenter Tanasha Donna. The grand ceremony was set to take place on February 14 this year. Around the same time last year, the father of three was dumped by his Ugandan baby mama Zari Hassan via Instagram. Those privy to the details say that the Wasafi chief executive was only talking about the marriage for clout especially because the Wasafi Festival was about to take place. After the concert, the Jibebe crooner during the after party told reporters that the wedding was off until a later date. “Ndoa yangu ilitakiwa kuwa siku ya Valentines tarehe 14, lakini tumepeleka mbele,” he said. Asked why the wedding was postponed indefinitely, he said that international artistes invited to what was supposed to be the grandest wedding of them all will not be available on Valentines Day. “Watu wengi wanatakiwa kuhudhuria, sababu ndoa yangu watakuja kina Rick Ross, Omarion. I want it to be a royal wedding kama unavyoona wale Prince wa Uingereza zilizvyokuwa,” he added. He and Tanasha have been dating for a couple of months now but have decided to keep their relationship under-wraps. According to Diamond, Tanasha is the only woman who gets him especially after being in dramatic relationships with Zari and his other baby mama, Hamisa Mobetto.